Chub Hershey spent time in Pearl Harbor with the Navy and Ken Hershey worked on airplane engine repair at Middletown Air Base during World War II. In 1953 the Hershey brothers decided to start an auto repair shop known as Hershey Bros. Garage. Their families grew up and lived in Lancaster. Both Brothers has worked at auto repair for several years in a variety of shops. 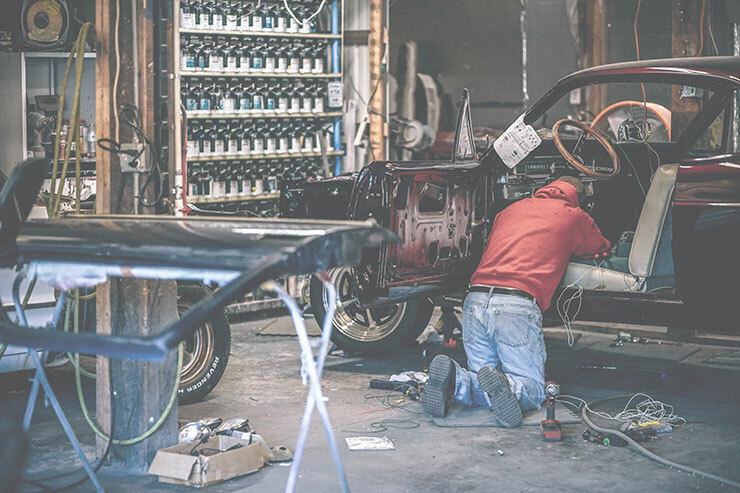 Early on Ken attended the GM Training School for Hydramatic Automatic Transmissions and soon thereafter started specializing in automatic transmission work while Chub did the general repairs and later stage inspections. The original shop was in a rented four bay building on Hand Avenue. Then in 1960 they built a new shop at 1023 Ranck Mill Road. This building had a beauty shop in the front and the garage in the rear. They had room to work on about 10 cars at a time. The garage part featured radiant heated floors. They had no lifts and all under car work was done on jack stands and creepers. Chub retired around 1978 and Ken continued the business specializing in automatic transmission repair. He dropped the general work. Then in 1981 he built the current facility at 265 Ranck Avenue, just around the corner. The space sits on 3 acres with plenty of parking. Hershey Bros. now has six lifts and space for several more cars on the floor. There is an office and waiting room along with a lunch room and lots of room for parts storage. John Summers came to work for Ken in 1965 and Terry Erb started in 1984. Then in 1990 they formed a partnership with Ken and changed the name to Hershey Bros. Transmission Service. Ken semi-retired in 1996 and Terry and John now see to the day to day operations. Hershey Bros. Transmission Service has two partners and four employees who work daily. The mechanics do automatic transmission work on most type of cars and light trucks. We also do stick shift clutch, transmission work, and differential repairs. We strive to do the best work at a fair price. We are careful to buy the highest quality parts from trusted suppliers. Our crew attends at least one seminar a year covering transmissions as well as the newest problems and fixes. We subscribe to several technical programs to assist in repairing vehicles right the first time. Recently we have become an AAA Auto Club Approved Repair Facility and received second place 2011 “Top Shop” award for the AAA Central Penn area. "Hershey Brothers rebuilt the transmission in my 73 Firebird and were wonderful to work with. They were friendly, informative and professional from my first call to see if they would work on my old car to completion of a complete transmission rebuild. The job was scheduled quickly, work was done as scheduled and I was kept advised as to cost and progress at every step. If you need transmission work I highly recommend these guys. They treat you like a neighbor and do great professional work."